If you are searching for information on Sarasota communities, this section of the website is a great source to tour the area's communities from mainland Sarasota, through downtown to the keys viewing luxury homes and waterfront condos. You'll learn about each community, its amenities, prices and available listings. Check out our Neighborhoods page for additional area information. Browse for properties for sale in Sarasota, FL below. You'll find active real estate listings for each area, updated every day. If you already know what area appeals to you, Sign up for daily emails of new listings as soon as they hit the market -- we're here to help! You'll find over 35 miles of beaches on Sarasota's barrier islands. Each community has it's own personality. Take a tour of each to find what lifestyle works for you. Residents of downtown Sarasota enjoy the popular nationwide new urban lifestyle. You can walk to work, specialty shops on Main Street and Palm Avenue, visit galleries, dine in cafes and fine restaurants or take in a theater performance from your inner-city home. Cultural attractions such as the ballet, symphony and the John and Mable Museum of Art are a short drive. If you are a jetsetter, the airport is within minutes from downtown. 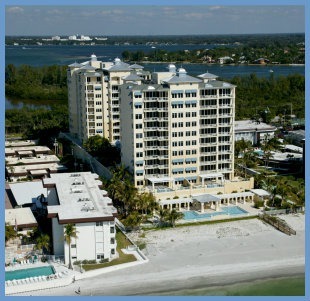 Golden Gate Point is a waterfront community adjacent to Bayfront Park in downtown Sarasota. A recent streetscape renovation featuring paver bricked streets and towering palms transformed this neighborhood. Residents love the urban lifestyle here. A beautifully master-planned community east of I-75, Lakewood Ranch offers a complete resort lifestyle featuring, aquatics, golf and tennis as well as polo. The country club's amenities are outstanding and the community has its own Main Street, medical facilities, excellent schools, parks and more. You'll find condominiums, villas and homes for sale in this area. Palmer Ranch is a mainland Sarasota master-planned community featuring a range of residential choices. From the golf course community of Prestancia to the single family homes in Deer Creek, you'll find your dream property here. 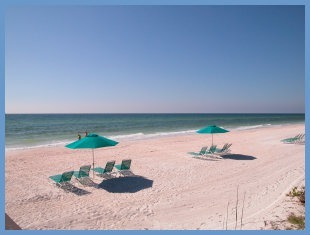 This area is located within 20 minutes of Siesta Key Beach too. Several communities in Sarasota were developed with the 55 plus generation in mind. These gated complexes have outstanding outdoor and clubhouse amenities for residents and guests. You'll find beautifully manicured grounds, grand entrances as well as excellent club facilities. There are also other gated communities providing single family homes with an added touch of security. Use the guide below to check out some of these communities.